When an aging parent or relative begins to have trouble living safely at home on their own, it’s natural for their family members to want to step in and help. Providing the support a loved one needs as they age, however, can often be more challenging than family members realize. Caring for a loved one can lead to stress, exhaustion, and strained family relationships. When this happens, relying on an in home caregiver in the Bellevue, WA area may be the solution. 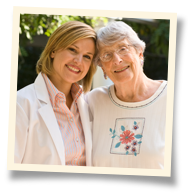 Many families in Bellevue, West Seattle, Burien, Des Moines, and the surrounding areas choose to rely on professional in home caregivers. Below, we’ve listed a few of the main reasons these families look to professionals for support and why you might want to do the same. Lack of Time. When balancing work, parenting, and other commitments, it’s sometimes just not possible for family members to offer the type of care and support a loved one needs to maintain a high quality of life at home. Lack of Backup. Without support, caring for a loved one can be exhausting, overwhelming, and stressful. This can lead to caregiver burnout and can leave loved ones lacking the care they need. Changing Family Dynamics. When a senior has supported and cared for their family members throughout their life, it can be challenging for them to accept this support in return. This can cause tensions among family members and stress for everyone involved. A professional caregiver can be there to offer the care your loved one needs without having to also navigate complicated family dynamics. A Steep Learning Curve. Not everyone is suited to providing the support a loved one needs. In order to ensure a loved one gets services that meet their full range of care needs, its common for families in the Bellevue, WA area to rely on the help of a professional in home caregiver. If you think your loved one in the Bellevue area could benefit from the help of a professional in home caregiver, our dedicated team at Visiting Angels® Kirkland can help. Call us today to book a free care consultation for your loved one. Alzheimer’s Care in Kirkland: When is it Time?